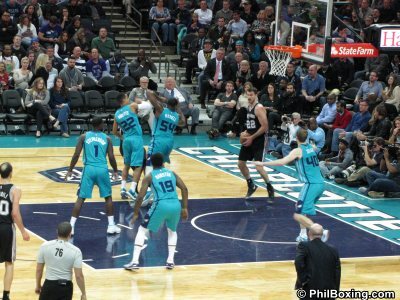 CHARLOTTE - The defending NBA champion San Antonio Spurs halted the Charlotte Hornets' five-game run, winning 98-93, Wednesday night at the Time Warner Cable Arena. 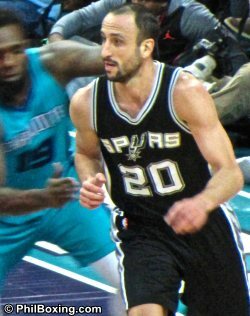 Thirteen-year veteran Manu Ginobili led the Spurs' attack and finished with 27 points including a 3 of 6 fare from beyond the 3-point arc. "Today, I made a couple of shots and made better decisions, so I'm happy". Ginobili told reporters. Hornets head coach Steve Clifford said "We were doing fine. He changed the whole game right in the first quarter when he came in." 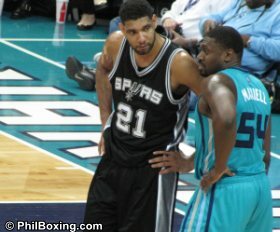 Constant Spurs' ball movement created problems to their opponent's defense as the Hornets trailed most of the game. "They're a tough team, they've been playing with each other for quite some time now. They just understand the game." Recently named eastern conference player of the week Kemba Walker said. "They make it tough on the defense." The Spurs, playing on their second consecutive night, led by as many as 16 in the first half, but the resilient Hornets battled back to come to within one, 85-86 with four minutes left to play. Ginobili hit a bank shot, and after a Walker miss, hit a 3 point shot to break the backs of the Hornets, 91-85, with a little over 3 minutes left. Spurs guard Danny Green scored 18 points while Tim Duncan recorded his 19th double-double of the season with 14 points and 10 rebounds. Charlotte's Walker tallied 28 points, scoring at least 25 points for the sixth consecutive game. Center Bismack Biyombo had a solid performance with 12 points, 15 rebounds and five blocks. The Spurs improved to 24-16 while the Hornets, who played the first of their four game homestand, fell to 15-25. 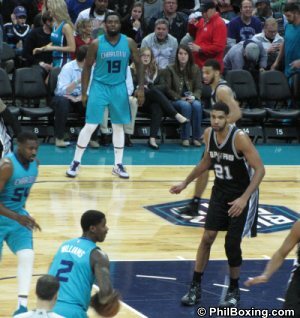 Photos: The San Antonio Spurs showed the steadiness of poised champions as they held off the buzzing charlotte Hornets, 98-93, on Wednesday night at the Time Warner Cable Arena.